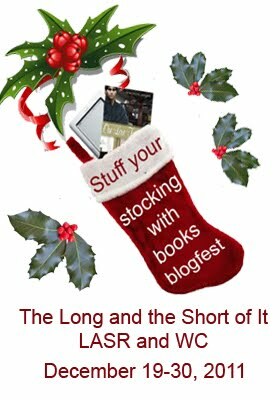 Stuff Your Stocking with Books Blogfest! My short story "Home for Christmas" is featured today at at 10 am at Long and Short Reviews 'Stuff Your Stocking with Books' Blogfest. Come on over and say hello! I'm going to take a little break over the Christmas holidays, but I'm going to leave you with a couple of things. The first is a poem written by a British lady named Rose Fyleman who was visiting Winnipeg in the 1930s at Christmas. A friend took her around town to see the sights; the Fort Garry Hotel for tea, the statue of Queen Victoria in the park, the policemen wearing their buffalo hide coats. And she was enchanted with it all. This poem always reminds me to quit complaining about the snow and the shovelling and to just enjoy the beauty of the season. Have a wonderful, safe Christmas everyone! 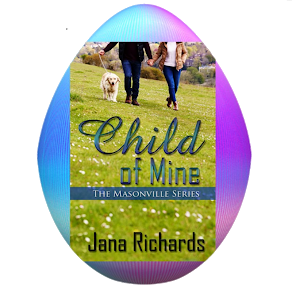 My good friend Janet Corcoran invited me over to her blog today to talk about my new release "The Girl Most Likely". I'll also be talking about success; are you only successful if you make a lot of money? I'd love to hear opinions from writers and readers. I'm giving away an E-Copy of "The Girl Most Likely" to a commenter on this blog, so come on down! Joanne B - Joanne wins the $20 gift certificate from The Wild Rose Press. ML - ML wins the $20 gift certificate from Amazon. Thank you so much to Marianne and Judy from Goddess Fish Promotions, and thank you to everyone who followed me on this tour and commented on my posts. You made the tour very rewarding for me and I hope to see you in future tours. Joanne and ML, I'll be getting your prizes out to you soon! I'm over at my friend and fellow Wild Rose Press author Sharon Buchbinder's blog today talking about plotting and outlining. I'll be giving away an E-Copy of "The Girl Most Likely" to one commenter so don't be shy about saying hello! You can also read and comment on my November 21 interview with Sharon for a chance to win. Thanks and see you there! The Tour Continues on Saturday! Because of a mixup on the Thursday blog, my virtual book tour is continuing on Satuday December 10. I will at http://www.its-raining-books.blogspot.com/ I hope you can drop by. The winners of my prizes offered on the tour will be choosen on Monday, December 12 and will be posted here. Best of luck everyone! Last Stop on my Goddess Fish Virtual Book Tour! I'm at the Romance in the Backseat blog and today I'm talking about writing retreats. Today is your last opportunity to comment for your chance to win my grand prize, a $20 gift certificate from The Wild Rose Press plus a $20 gift certificate from Amazon. To check out all the stops on my Goddess Fish tour and to get in some last minute commenting, go to my schedule on my website. I'm looking forward to seeing you on my last stop! I'm at the Books Read 'n Makeup Done Blog today. I'm talking about what makes my characters, Cara and Finn, tick. Hope you enjoy it! 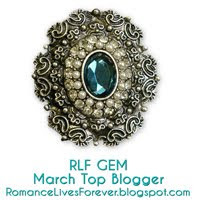 I'm at Sherry Gloag's Heart of Romance blog today. I'm going to be interviewed by my characters, Cara and Finn, from "The Girl Most Likely". Yikes! 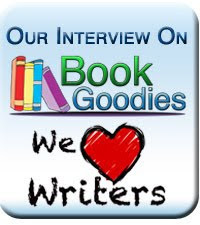 I'm being interviewed at the Book of Secrets blog. Please come on by and say hello! I'm over at Lisa Sanchez's blog today and we'll be talking about, among other things, what it's like to lead a charmed life in high school, only to lose it all as an adult. Don't forget to comment for your chance to win my grand prize: a $20 gift certificate from The Wild Rose Press plus a $20 gift certificate from Amazon. See you there! Another day, another blog stop! Today I'm with Lila Munro at Realmantic Moments. For writers out there I'll be talking about creating the romance arc in a romance novel. I hope you stop by and say hello. Don't forget about my grand prize. All you have to do is comment for your chance to win! Today I'm at the Romancing Rakes blog. My character Cara will be talking about surviving the high school reunion. I'd love to read your comments on this or any of my Goddess Fish virtual book tour blog posts. For a complete list of the stops on my tour, go to my "Appearances" page on my website. Don't forget to leave your email address!